Mass transit is the best way to reach Jackson Heights. Driving in the neighborhood can be a royal headache with congested streets and lack of parking. The #7 train runs above Roosevelt Avenue, with stops at 74th, 82nd, and 90th Streets, and Junction Boulevard, which is equivalent to 96th Street. (Beyond Junction Boulevard you are in Corona, Queens). Some #7 trains run express, skipping stations. You can also take the E, F, G, and R trains to the busy 74th Street stop. Leave the station north toward 74th Street for Little India. Or go east for Latin American Jackson Heights. Elmhurst starts south of the station. Taking the train is not recommended. You can take the LIRR to Woodside and transfer to the #7 subway. 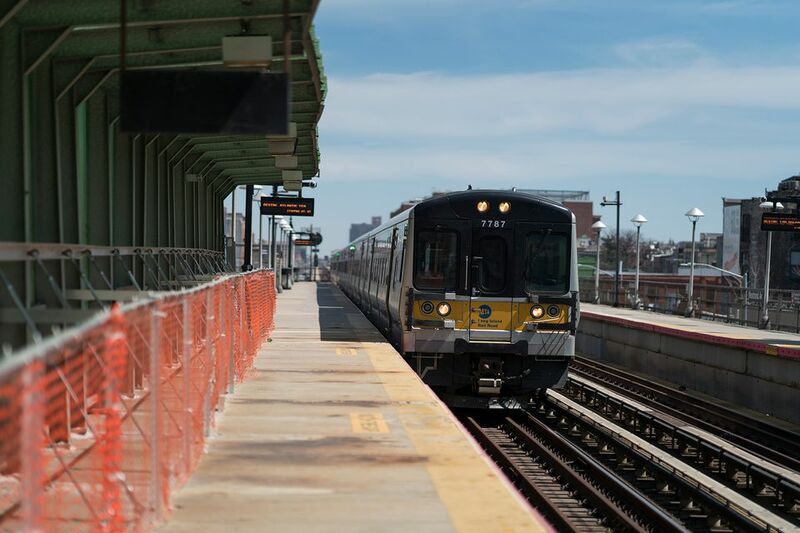 The LIRR runs on the Port Washington line, which goes to Penn Station from northern Queens and Nassau County but does not travel through Jamaica like most LIRR routes. The Q32 bus runs between Penn Station in Manhattan and Roosevelt Avenue. Buses Q19, Q19B, Q33, Q47, and Q66 also serve Jackson Heights. A car isn't the best means to breach the crowded streets of Jackson Heights. If you insist on driving, the BQE and Northern Boulevard are the nearest routes. Jackson Heights is exit 37 off the BQE, spilling you out under the elevated subway on Roosevelt Avenue, near Broadway. Exit 38 is better for getting to less congested Northern Boulevard. Avoid driving (a.k.a. "getting stuck") on Roosevelt Avenue at all costs. For on-street parking, 37th Avenue is best. Don't even try to park on Roosevelt. Parking on side streets can be frustrating because so many cars are parked for the long haul.